Employment protection in Britain, once seen as resting on collective bargaining supported by public policy, has increasingly come to be framed in terms of individual legal rights, enforceable before judicial forums such as employment tribunals. This dramatic shift towards juridification of the individual employment relationship has not only contributed towards significant changes to the institutional `landscape of employment relations in Britain, but also carries important implications for the future of employment law and regulation in `the home of collective bargaining. This comprehensive evaluation of current institutional reality and trends prepared to mark the 30th anniversary of the Advisory Conciliation and Arbitration Service (Acas) provides a unique look inside the key institutions of British employment relations. Each contributor leading academics and senior practitioners, all closely associated with particular institutions locates their institution in terms of purpose, origins, and context, discusses its structure, governance and composition, and assesses its operation, considering current challenges and future direction. In the course of examining issues relating to institutional choice and roles, the presentations offer contemporary views on the impact of decentralisation and the shrinking of collective bargaining, decline in trade union membership and strength, and the political effects of increasing global competition. The influence of EU social policy initiatives upon British legislative policy is identified, while attention is drawn to the consequences of an increased feminisation of the workforce, along with an increasing incidence of `non-standard workers and continuing service sector growth. 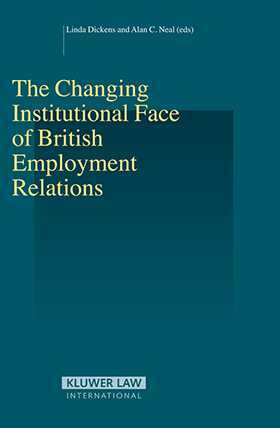 Set alongside the evidence of decline in manufacturing, restructuring of the public sector, and the growth of the SME sector, this volume demonstrates the remarkable pressures for change which have impacted upon the institutions of British employment relations over the past thirty years. These essays offer an especially valuable mix of expert independent discussion along with personal insights gained from direct involvement in the operation of the key bodies. As a much-needed overview and basis for evaluation of the current institutional map of British employment relations, as well as a contemporary consideration of lessons to be drawn from the changing institutional face of employment relations in Britain, this book will be of inestimable value to policy-makers and practitioners in the field, as well as to students, academics, and more generally interested observers of the British experience. Preface. About the Authors. 1. Changing Times, Changing Needs: Institutional Development Through Three Decades; L. Dickens, A. C. Neal. 2. The Institutional Face at Ministerial Level: Not the Department of Employment; M. Freedland, N. Kountouris. 3. The Advisory, Conciliation and Arbitration Service; K. Sisson, J. Taylor. 4. The Health and Safety Commission and Executive; B. Callaghan. 5. Training and Skills: An Institutional Patchwork; E. Keep. 6. The Low Pay Commission; W. Brown. 7. 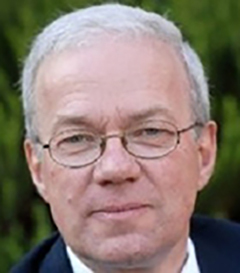 The Central Arbitration Committee; S. Gouldstone, G. Morris. 8. The Certification Officer; D. Cockburn. 9. The Equality Commissions and the Future Commission for Equality and Human Rights; B. Hepple. 10. The Employment Tribunal System Taskforce; J. Gaymer. 11. The Employment Tribunals; G. Meeran. 12. The Employment Appeal Tribunal; M. Burton, P. Clark.